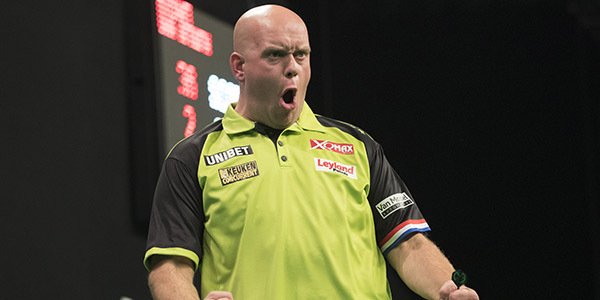 MICHAEL VAN GERWEN moved in the final of the Unibet World Grand Prix following a 4-1 victory over 2017 champion Daryl Gurney in Dublin on Friday. The world number one will meet world number two Peter Wright in Saturday’s final. “I have to win tomorrow, it’s as simple as that,” said Van Gerwen, the Dublin champion in 2012, 2014 and 2016. “Reaching the final means nothing if you don’t win it so I am focusing on everything I need to do right tomorrow.